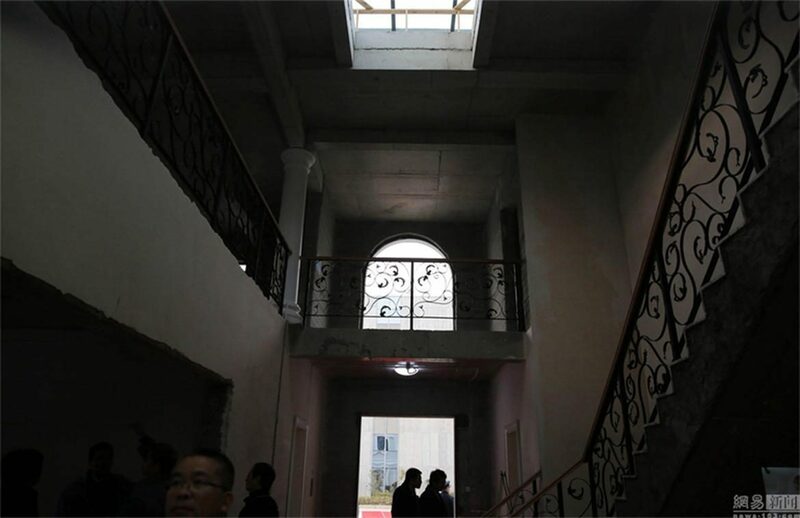 A Chinese company has successfully printed out a five-story apartment building along with a 1,100 square meter villa from a special print material, becoming the first in the world. With many architectural firms and companies compete to design 3D-printed residences, WinSun has taken it one step further by completing the first 3D-printed apartment building with decorative elements inside and out. The building is currently out on display at Suzhou Industrial Park. The exact size of the apartment building has not been released yet, but the size of the villa measures to be approximately 1,100 square meters (~11,840 square feet). The parts of the building or the villa were not constructed on site, but rather in a building with the enormous 3D printer array. The machine created by Ma Yihe, stands at 6.6 meters high, 10 meters wide and 40 meters long (20 x 33 x 132 feet). Once the parts have been completed, the parts are then sent to the construction site to be assembled, complete with steel-reinforcements and insulation to follow building standards. The materials are a mixture of ground construction and industrial waste, such as glass and tailings. This allows for 30 to 60 percent less construction waste. A big advantage towards becoming more environmentally friendly and reducing both time and labour costs. Production times are reduced by 50 to 70 percent while labor costs are reduced by 50 to 80 percent, making the entire creation of the villa cost around $161,000. With 3D printing becoming more and more powerful each day, do you feel that the construction companies of the US and other regions may adopt this new way of building? Do you think that it will leave a positive or negative impact on the workers and the company? Finally, would you trust a building created by a machine and a computer?